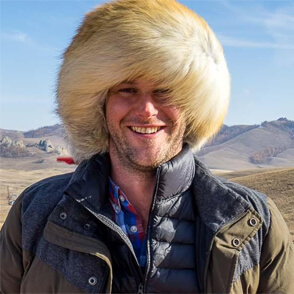 The first thing that strikes you from the outside is how big it is. The first thing that strikes you from the inside is… well, how big it is. Cologne Cathedral is enormous. That’s part of the reason why it took more than 600 years to build – although, to be fair, there was a break in the middle where nothing was done to it for a couple of centuries. When Cologne Cathedral was finally finished in 1880, it was the world’s tallest structure (at 157 metres high) until it was overtaken by the USA’s Washington Monument just four years later. Today it is still the largest Gothic church in Northern Europe. I start my exploration of this site by experiencing the height firsthand. Step by step, I climb up one of the spires which forms the façade of the cathedral. There are 509 steps and as I spiral around inside, I lose track of how far I’ve climbed and the end seems so far away. Until I suddenly pop out into the sunshine again. Looking up, I can see the intricate detail that makes the lattice style of the tip of the spire above me. Through the gaps are the panoramic views of Cologne and the Rhine River which runs through it. 509 steps later, I’m back down on the ground and I head through the front doors into the main part of the cathedral. The interior stretches out in front of me. On either side, stained glass windows and artworks line the walls. It takes ten minutes just to walk down one side slowly and look at each of the pieces on display. 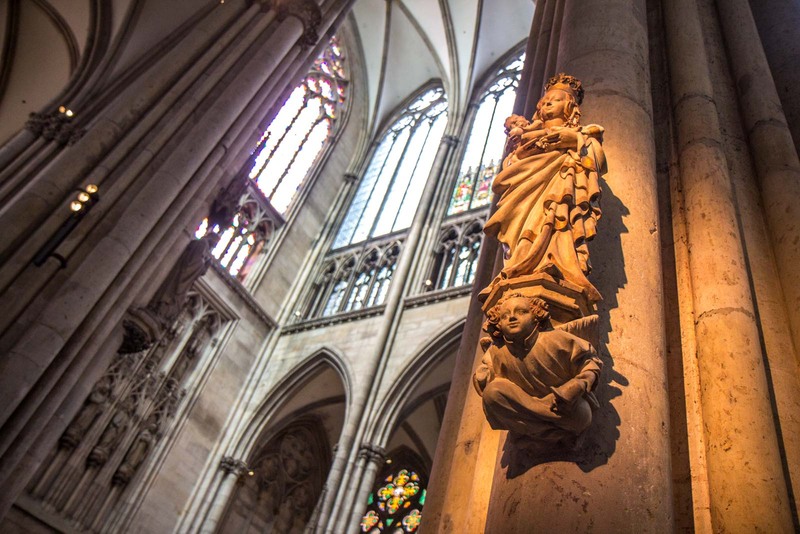 The idea for Cologne Cathedral was originally to hold the relics of the Three Wise Men. This was hundreds of years ago, of course, and it would not be surprising if this original plan had fallen by the wayside. 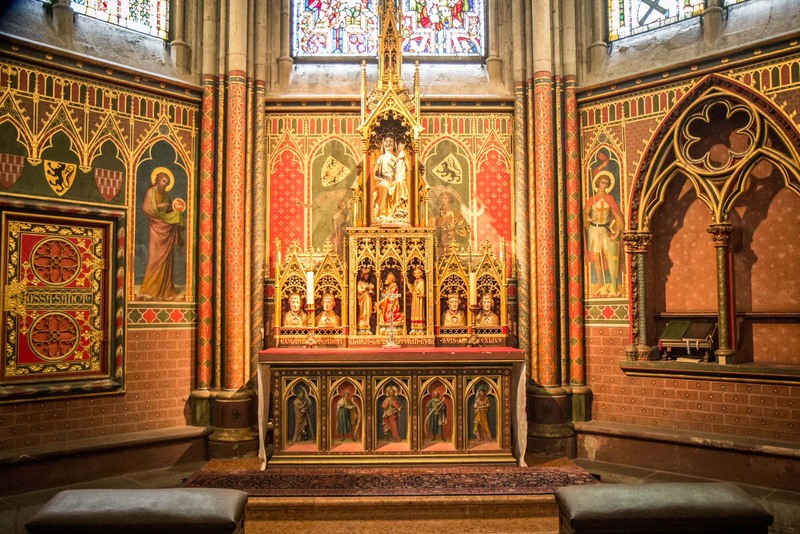 However, there at the back of the cathedral, behind the high altar, is the large golden casket where it was always intended to be. Legend has it that the bones of the Three Wise Men were taken from Istanbul to Milan in the 2nd century and given to the Archbishop of Cologne 800 years later. They are now the most important part of the cathedral – architecture aside – and bring hundreds of thousands of pilgrims here every year. Cologne Cathedral is one of the most popular tourist sites in Germany. This is partly because of how spectacular it is (as I’ve already mentioned) but also because of its location. It is literally at Cologne’s main train station which means that even people just passing through can easily pop in and have a look. To see the site properly, though, it is worth giving yourself about an hour for the interior and another hour if you want to climb to the top of the spire. While it’s possible to walk through the front doors, look around, and then walk out five minutes later – what would be the point? There is so much detail and so many pieces of art that deserve your attention. I’ve already mentioned the Shrine of the Three Holy Kings. Aside from that, make sure you see the other significant works – the Gero Crucifix, the Milan Madonna and the Altar of the City Patrons. This is one of the most important and impressive sights in Germany. You will not be disappointed with a visit. Cologne Cathedral is located at Domkloster 4, 50667 Cologne, Germany. How do you get to Cologne Cathedral? To get to Cologne Cathedral, catch the train to Cologne's main train station and it is right in front. When is Cologne Cathedral open? 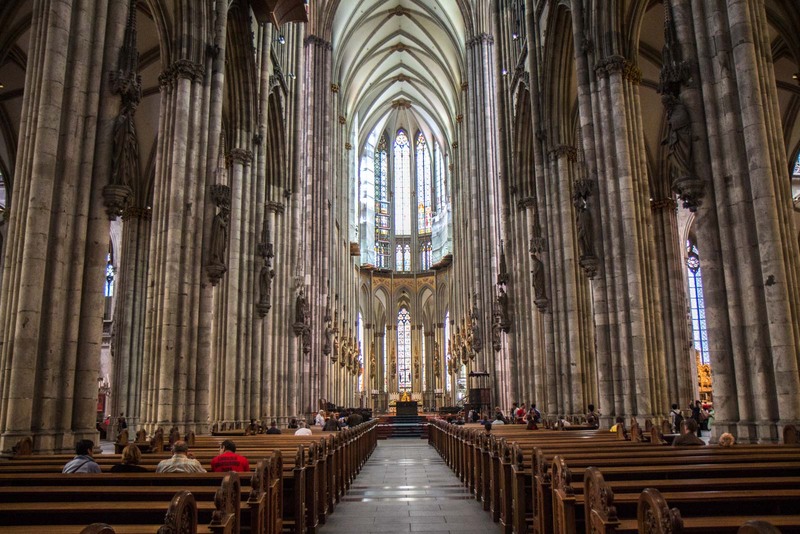 How much does it cost to visit Cologne Cathedral? Entry to the cathedral is free. However there is a charge to climb the tower or see the treasure chamber. Although the free part of the cathedral is impressive, it is definitely worth climbing the tower for a special experience. Be warned - it is a long hard climb. 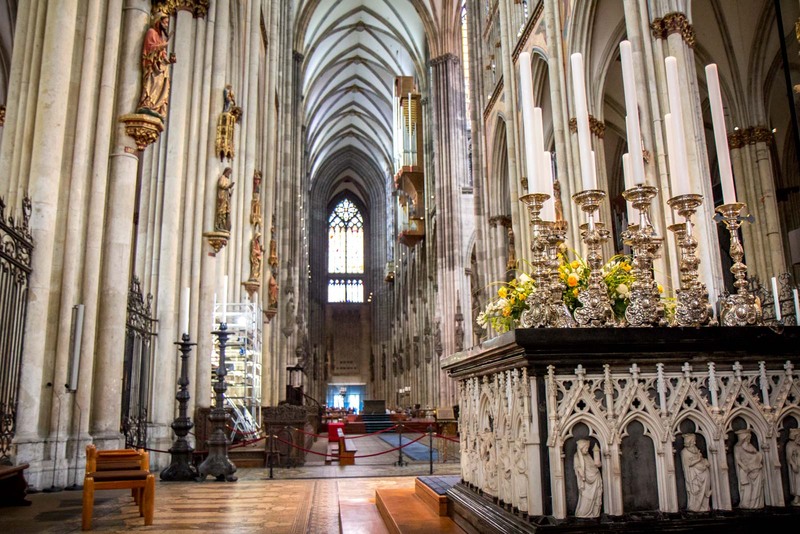 You can find out more information here about Cologne Cathedral. 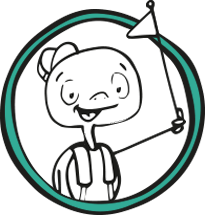 Great tips – thanks for adding them in! And an organ concert would be so cool there! I’ll have to try to go back sometime when there is one on. Awesome. 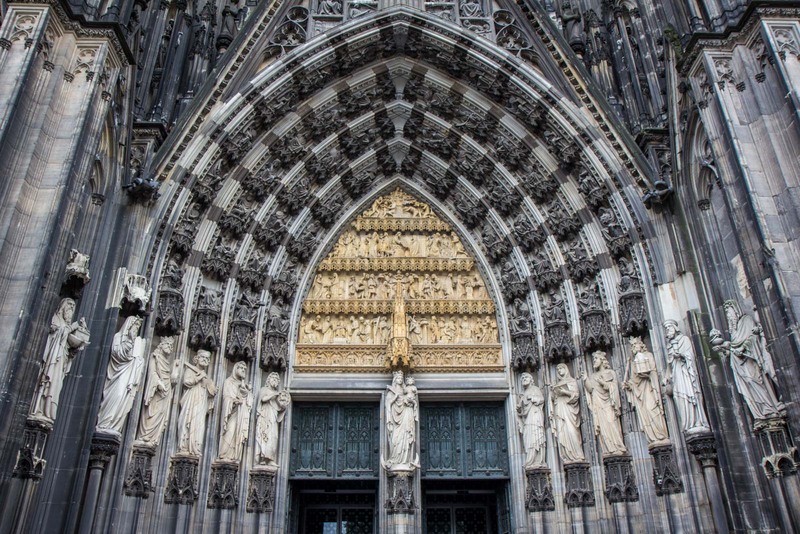 Michael, thank you for your post about the Kölner Dom. Were you able to get close and/or get a shot of the shrine? It’s funny you should ask – when I was writing this post I was looking through my photos to include one… and I couldn’t find anything! I am sure I took a shot, but clearly not. How silly of me. Nice blog and the pictures! I’m glad you liked it too, Kris. I was there mainly to see the cathedral but was able to explore a little bit more of the city. I agree that it’s a friendly place. But, then again, I think most of Germany is! Cologne cathedral is simply stunning! I regret I didn’t climb the stairs to the top, the view seems amazing.